This lightweight formula detangles and conditions with a highly-effective combination of 18 certified-organic ingredients: natural soy proteins and borage oil replenish lipid content, wheat & soy proteins restore strength and shine, and essential oils of rosemary & peppermint provide an exhilarating scent. Safe for colour-treated hair. 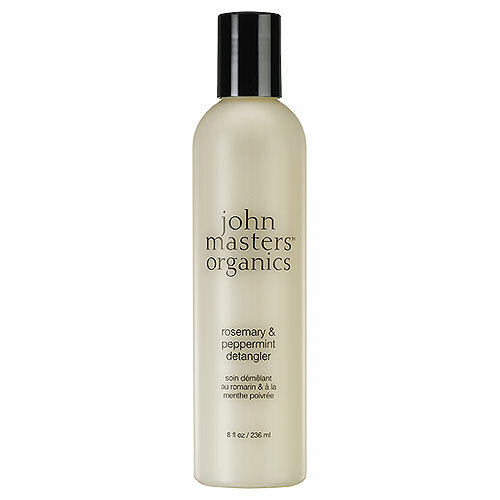 John Masters Organics Rosemary and Peppermint Detangler - 236ml. Below are reviews of Rosemary and Peppermint Detangler - 236ml by bodykind customers. If you have tried this product we'd love to hear what you think so please leave a review. Leaves my dry hair soft and smelling nice. Have used before and I love it! 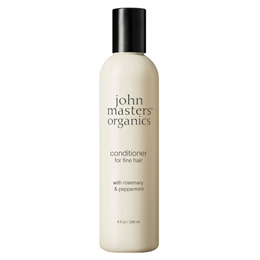 John Masters Organics Rosemary and Peppermint Detangler is a lightweight formula which detangles and conditions certified-organic ingredients. Essential oils of rosemary & peppermint provide an exhilarating scent. Safe for colour-treated hair.